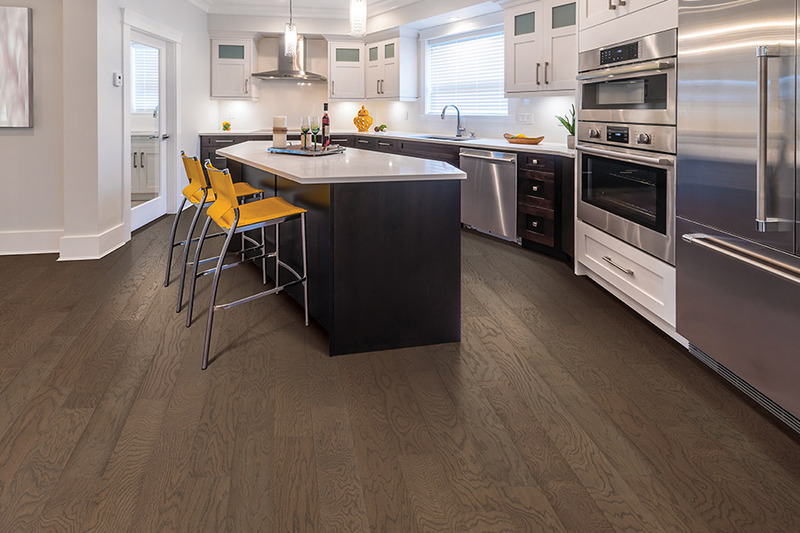 If you’re considering hardwood floors, then your next flooring purchase could be your last flooring purchase. Almost everyone knows the extensive lifespan these floors carry with them and are often interested in the material for that very reason. There are other reasons that make this material a great option, however, including awesome durability, a timeless look, and plenty of options. 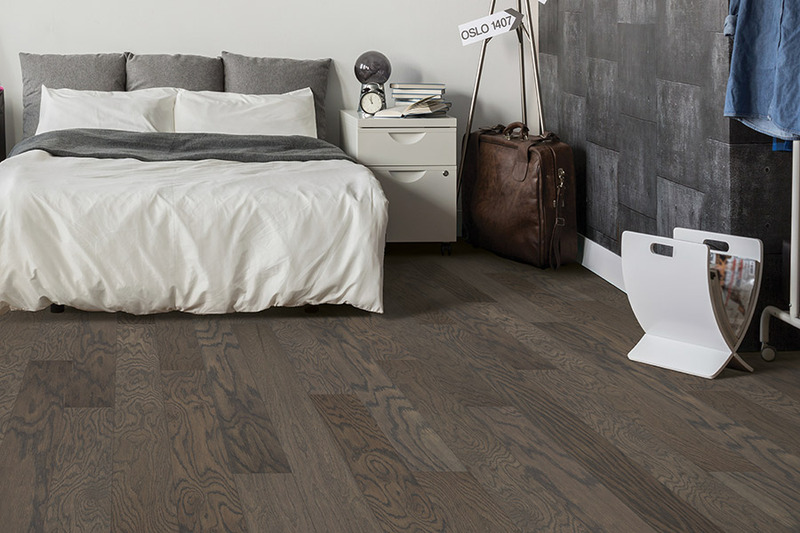 Let’s look deeper and see if these might be the answer to your flooring desires as well. American Carpet One Floor & Home carries plenty of floor covering options for our Honolulu, Kaneohe, Kailua, Mililani, and Aiea area customers. More than that, we get to know you and your flooring needs, so we can simplify your floor shopping experience. When you stop by our Honolulu, HI showroom, we’ll quickly find the product that best matches your needs as well as setting up an installation date, bringing your project to perfect completion. Visit us soon and speak with one of our sales staff who will be standing by, ready to help you find exactly what you need. 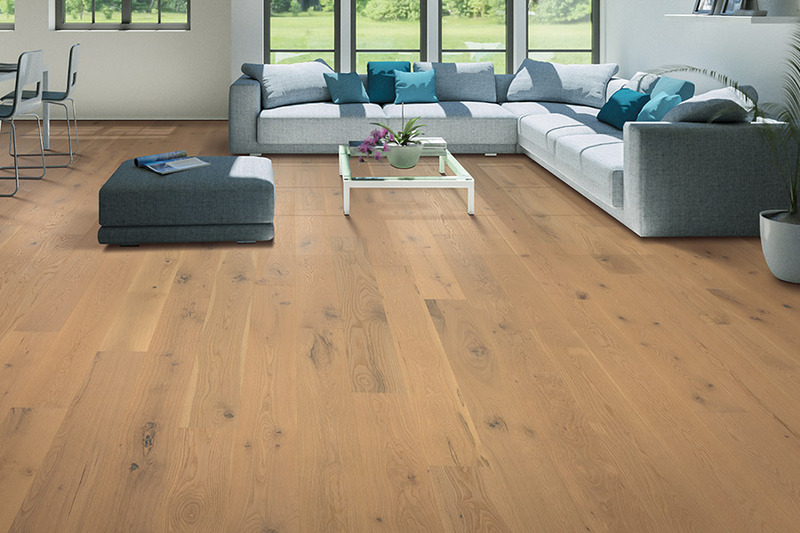 The beginning of any hardwood flooring installation begins with choosing a species. Species are rated from softest, to hardest, and the more active your home, the harder species you’ll have to choose. 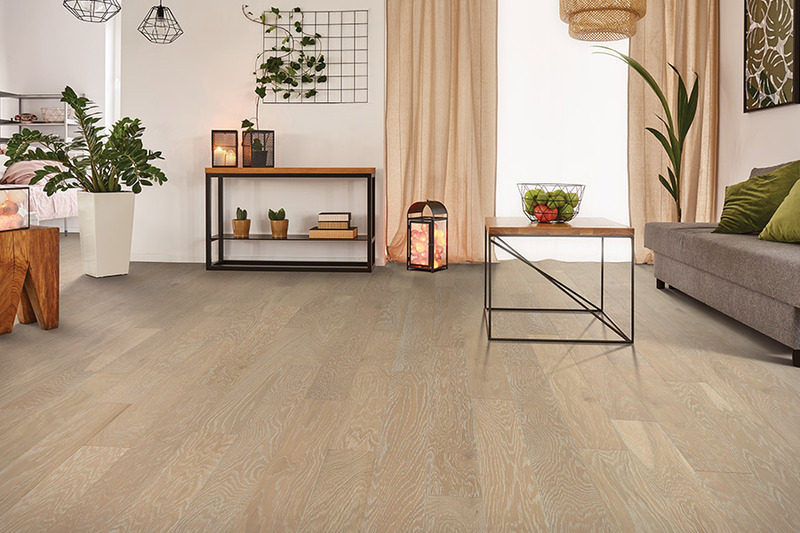 It’s a very important choice, because if you choose a wood that’s too soft for your activity level, your floors will wear out much quicker than they should. It’s just one of many ways to protect your investment. 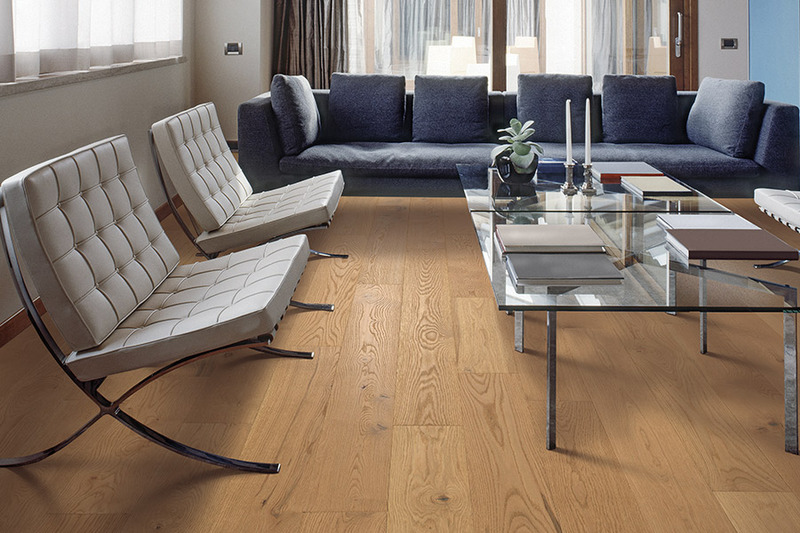 Hardwood floors can be refinished several times over their lifespan, which also helps to keep them looking great. Once every day wear and tear has started to really show, refinishing strips wear away, bringing you to another pristine level of good looks. If you want to change your stain color or finish type, this is an excellent time to do so. Once the process is complete, it’s just like having brand new floors all over again. 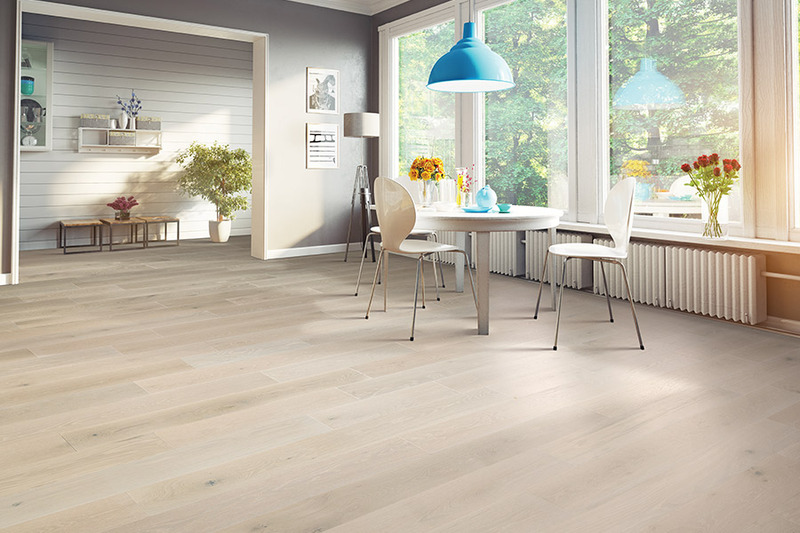 It’s important to know that solid wood floors cannot be installed in below grade spaces such as basements. 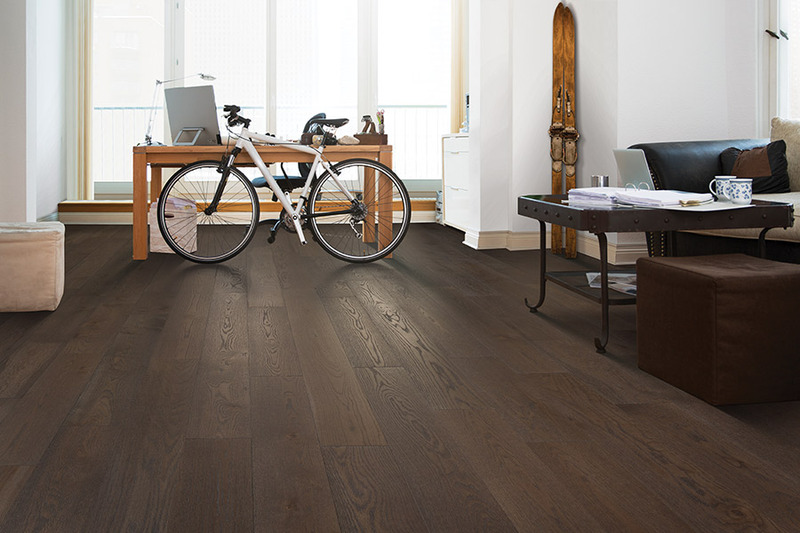 However, if you need flooring for such a space, you can ask about engineered wood flooring. While still considered a real hardwood, the wood veneer is placed between a stable backing layer and a protective wear layer. While it doesn’t offer the same lifespan as the solid option, it can still be refinished a time or two.